The ‘Muscle Of The Soul’ May Be Causing You Fear And Anxiety! Research indicates that the psoas is vital to our psychological wellbeing, connecting fear and anxiety, in addition to structural health. Liz Koch, author of The Psoas Book, states that our psoas “literally embodies our deepest urge for survival, and more profoundly, our elemental desire to flourish.” This means that there is a lot more to the psoas than one might initially think. It is entirely possible to harness healing pranic energy and improve mental health by keeping the psoas healthy. 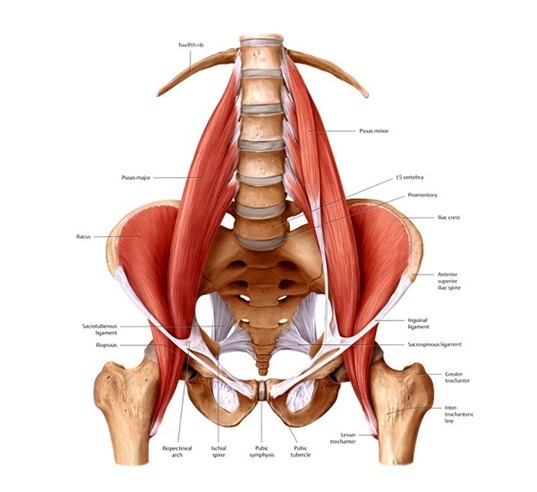 The psoas is an important, yet often unknown, muscle that plays a vital role in physical health and mental well-being. The cumulative effect of neglecting this muscle is physical and mental stress and tension, which manifests itself in our society as anxiety, depression, chronic back pain, knee pain, digestive distress, respiratory problems, etc.